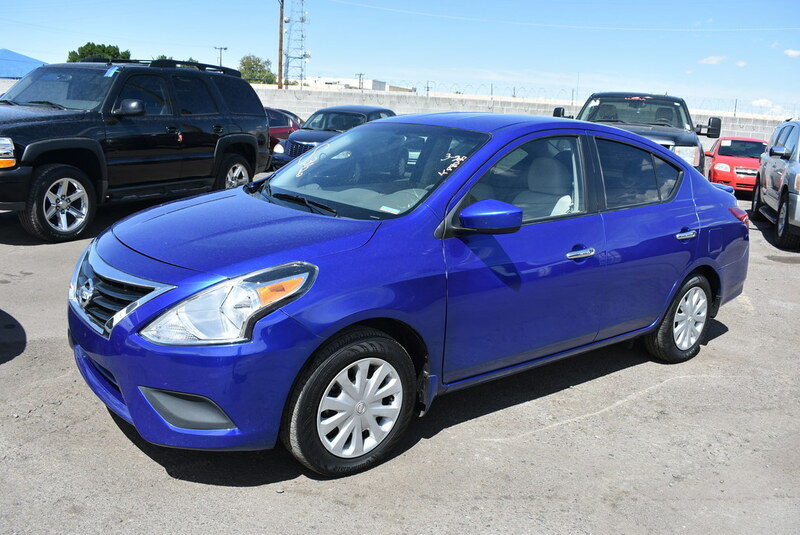 Enjoy the reliability, efficiency, and wealth of amenities in our 2016 Nissan Versa SV brought to you in [[[TrimColor|Metallic Blue]]]! Powered by a 1.6 Liter 4 Cylinder that offers 109hp while connected to a seamless CVT for astonishing passing authority. Score near 40mpg on the highway with this Front Wheel Drive and enjoy this comfortable ride that is eager to please you! Uniquely built with your needs in mind, our Versa SV looks ready to roll with its rear spoiler and athletic stance.